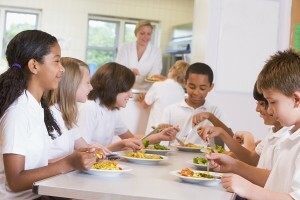 Sun Valley Foods strength is our experience in delivering products to schools. We have a documented 99.9 percent delivery. Our product procurement module maximizes the vendors that compete for your business ensuring the best pricing. We have an extensive offering of nationally branded, specialty, and exclusive products, designed specifically for the education food service segment. We have perfected methods for delivering bread, milk, produce and other products on one truck. This provides our customers with the ability to move to a just in time delivery schedule saving them time and money. Having one delivery frees up Food Service Staff from unloading trucks multiple times during the day so they can attend to their service business. Copyright © 2019 Sun Valley Foods, Inc. All Rights Reserved.